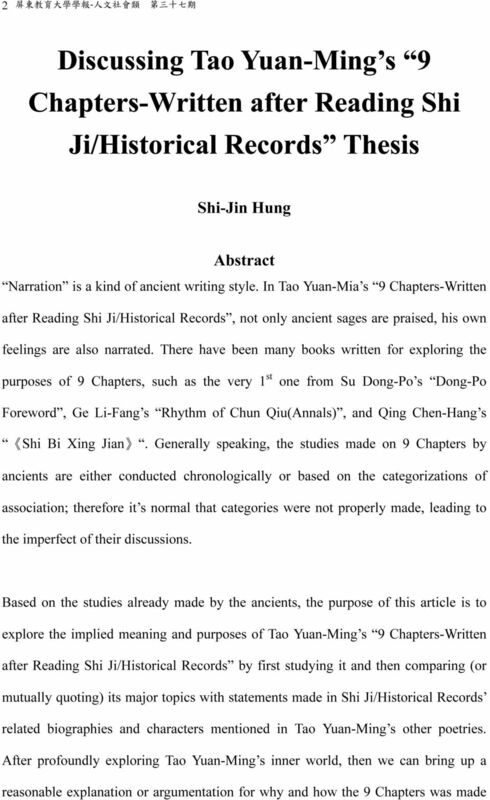 Download "Microsoft Word - 黃世錦04.docx"
3 論 陶 淵 明 的 讀 史 述 九 章 3 after Tao Yuan-Ming read Shi Ji/Historical Records. 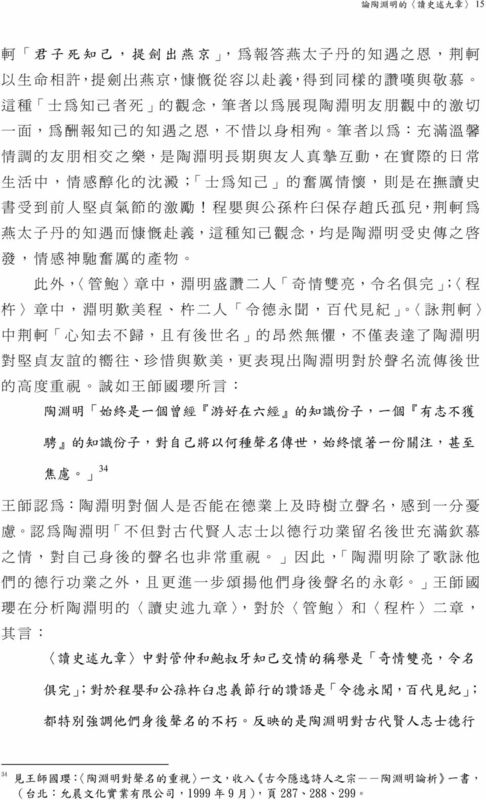 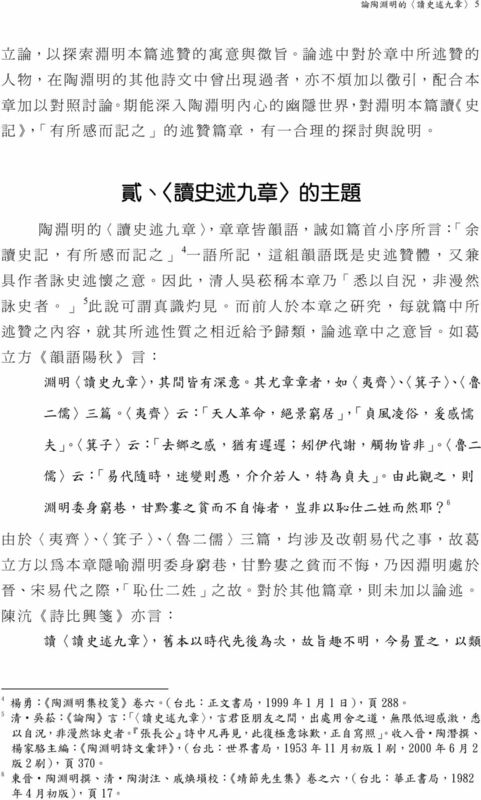 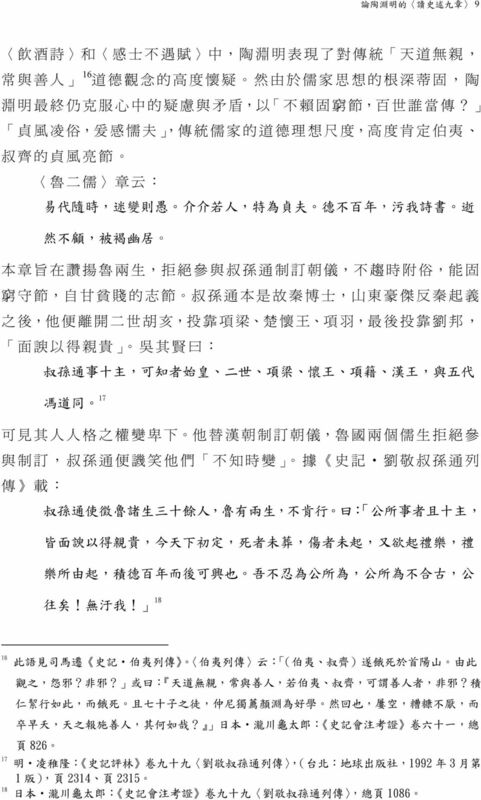 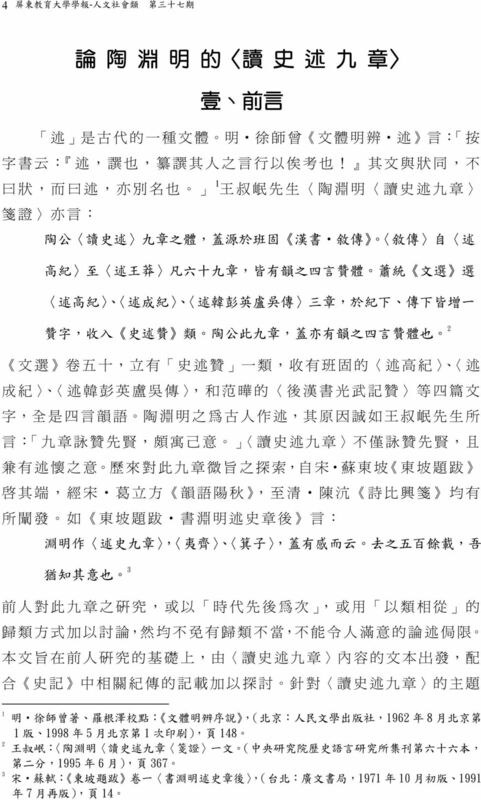 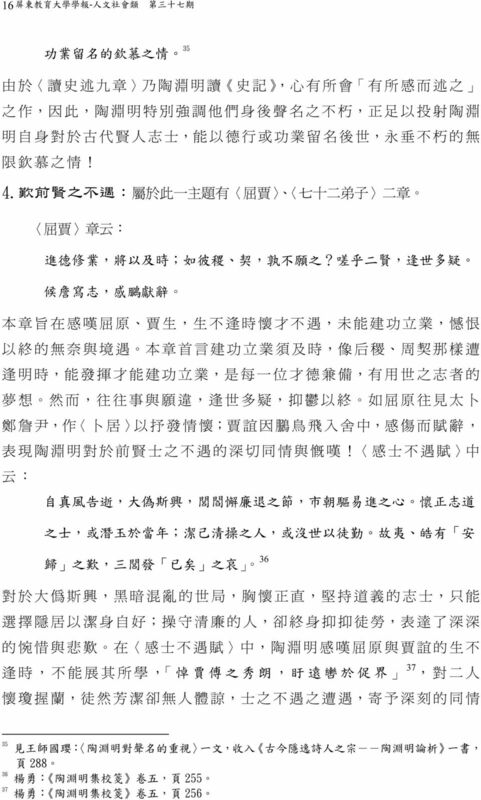 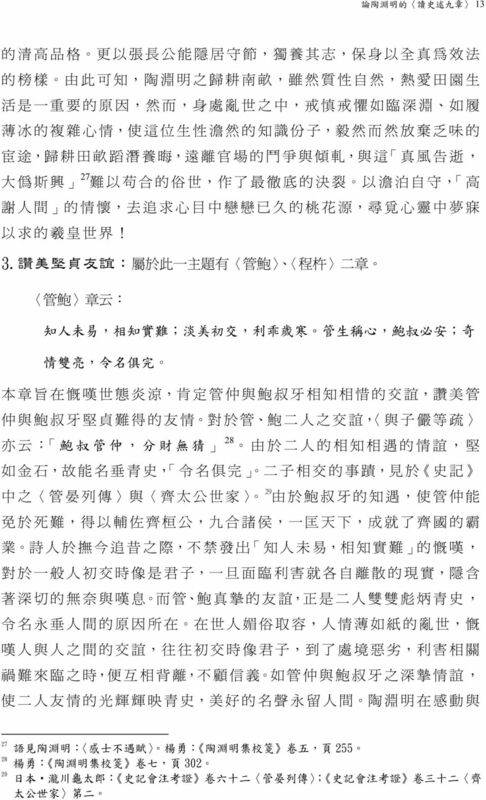 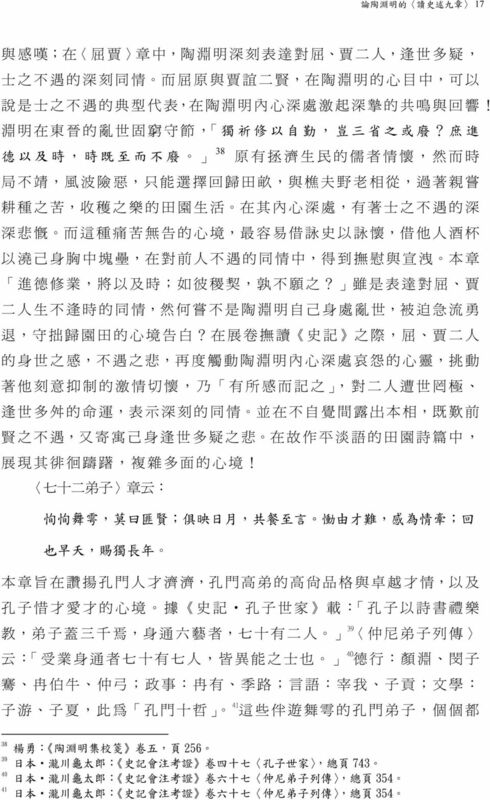 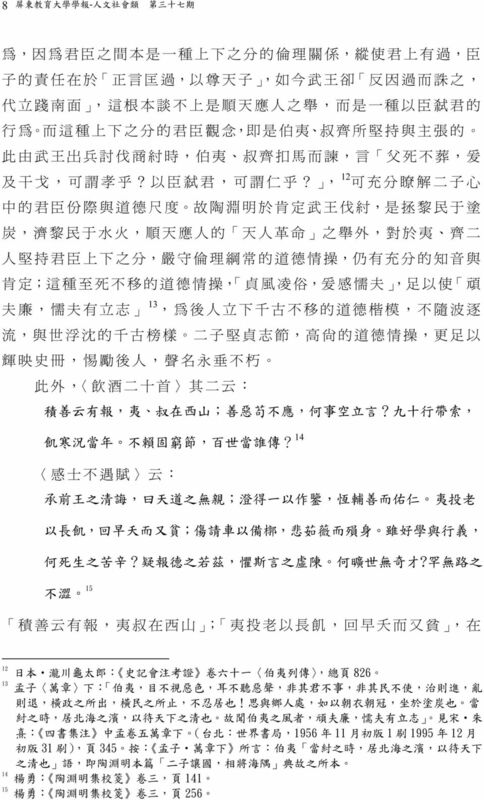 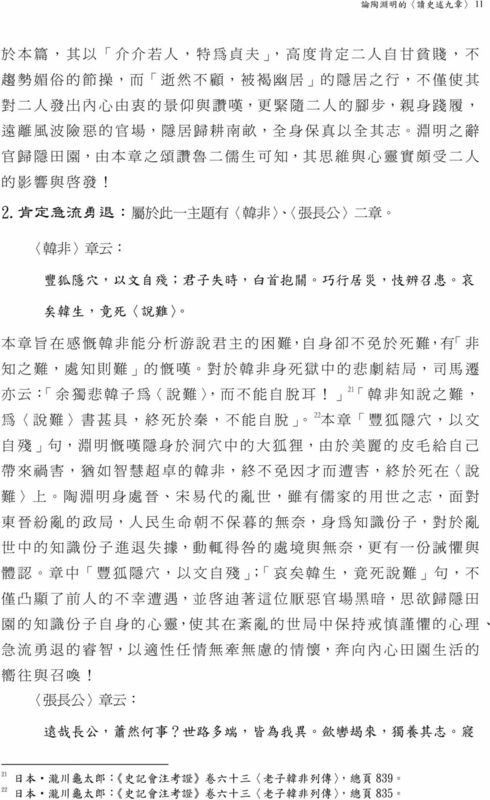 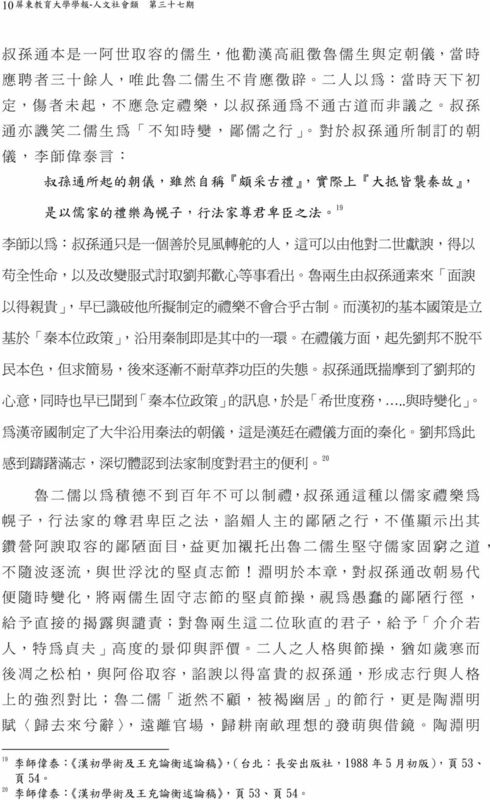 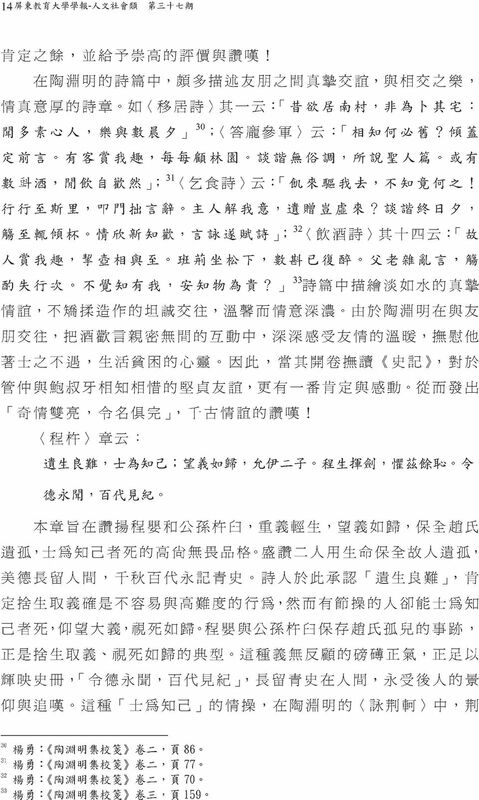 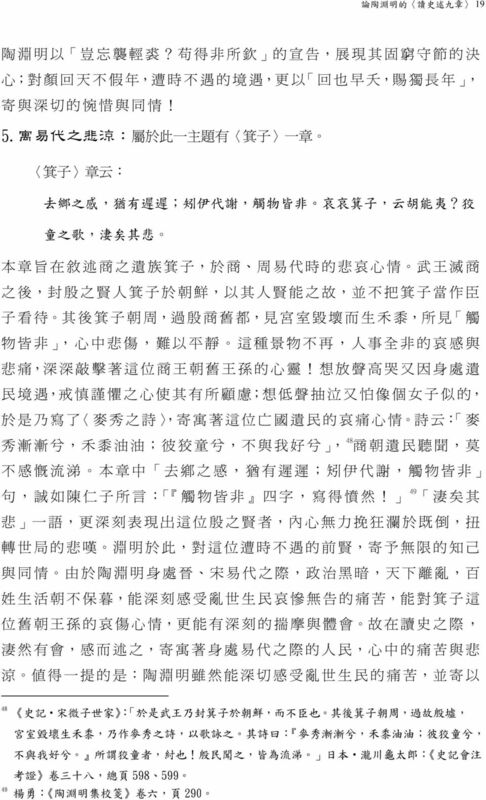 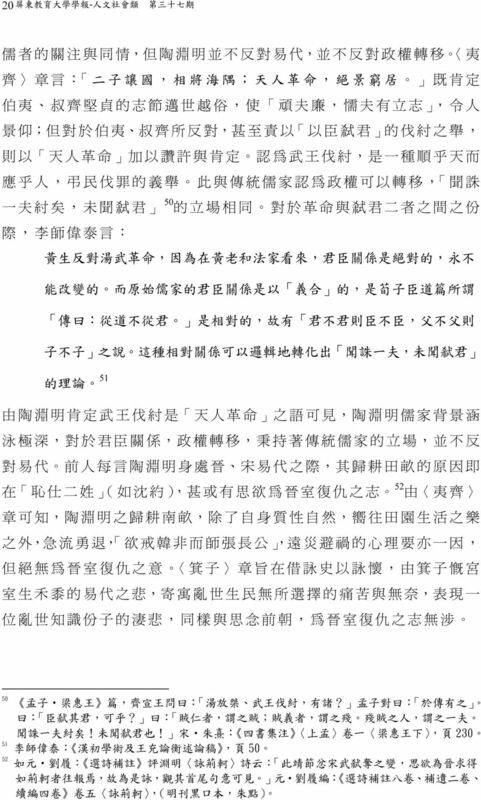 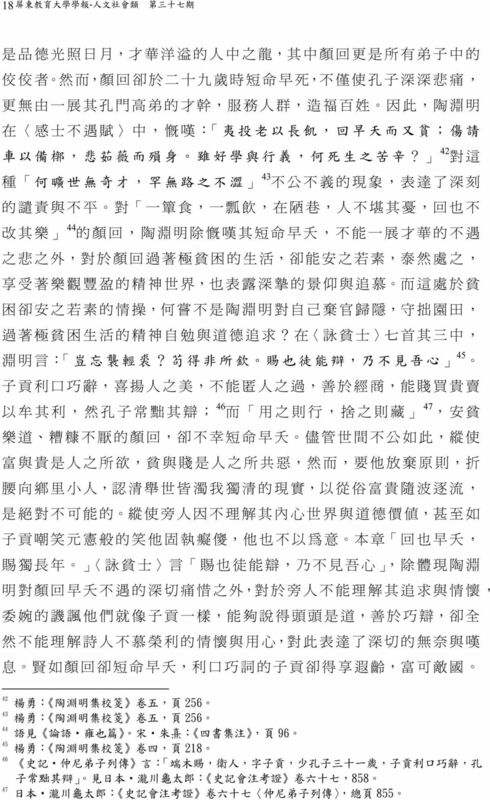 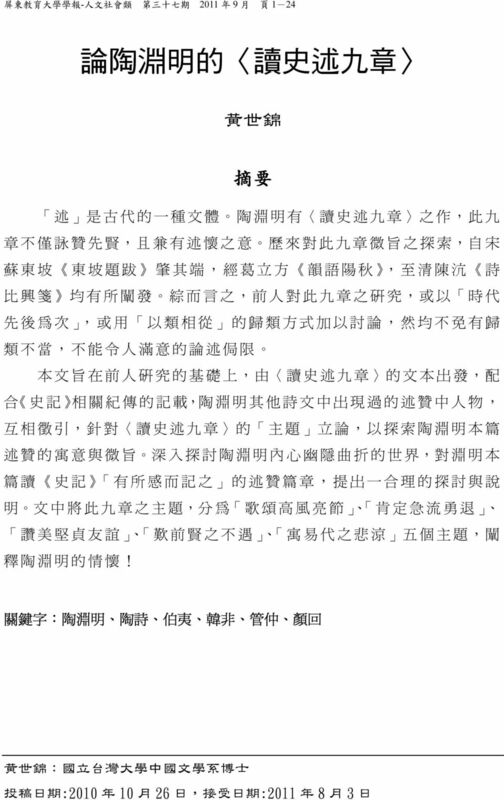 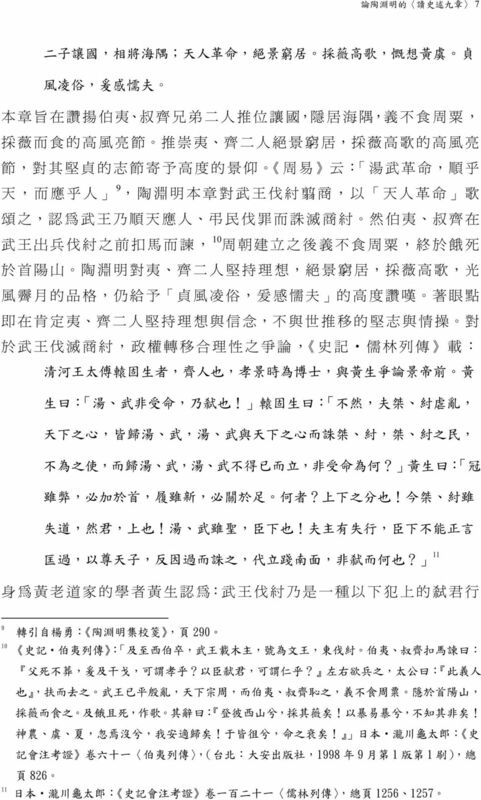 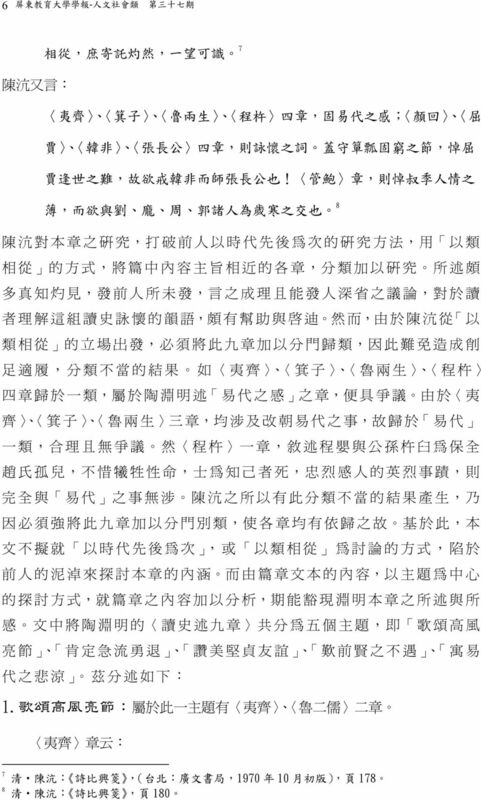 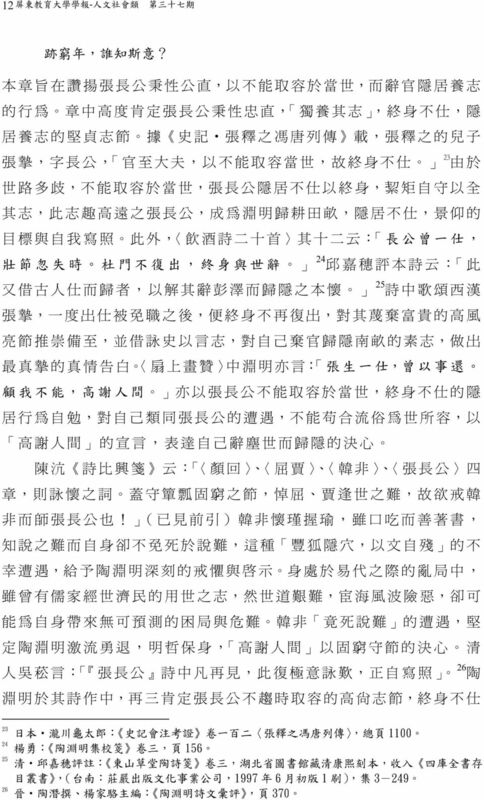 In this article, the topics of 9 Chapters are categorized into 5 topics to further discuss Tao Yuan-Ming s feelings in details: Praising Noble Character, Recognizing the Courage of Leaving While the Going Is Good, Praising the Faithfulness of Friendship, Signing for the Ancients Being Underappreciated and Implying the Sadness of Dynastic Changes. 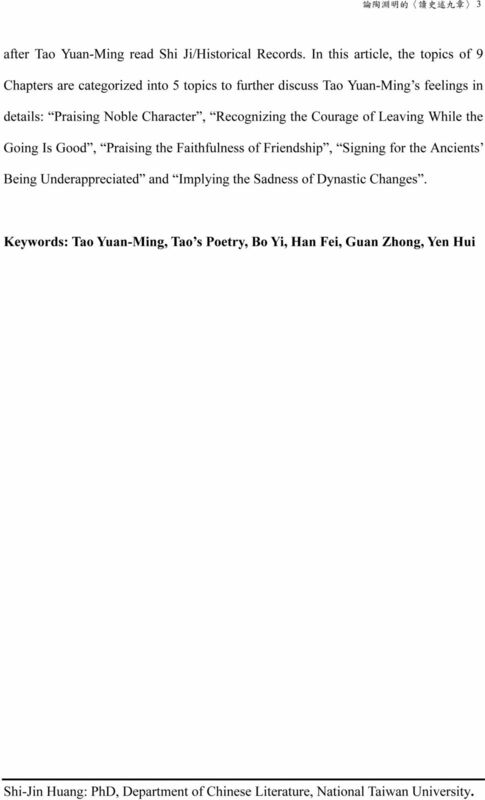 Keywords: Tao Yuan-Ming, Tao s Poetry, Bo Yi, Han Fei, Guan Zhong, Yen Hui Shi-Jin Huang: PhD, Department of Chinese Literature, National Taiwan University.